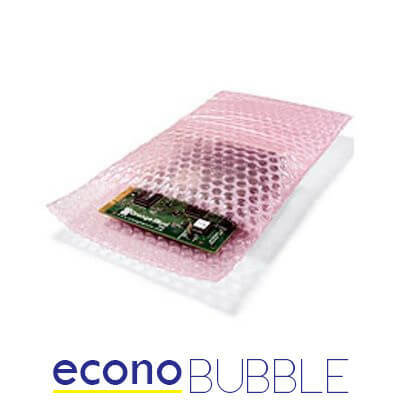 Our anti static bubble bags have been manufactured from a special film that will not produce an electrostatic charge, making them the perfect choice when you need to mail electronic goods. 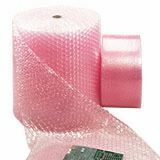 They’ve also been side welded to provide burst proof strength and effective moisture protection. 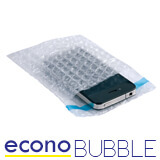 The anti static EconoBubble bags are made using strong 65 micron plastic which helps to eliminate any electrostatic charges that may be generated during handling and packaging. 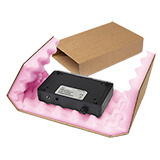 The surface dissipates a charge, keeping it away from the contents, making it an ideal protection material for packaging sensitive electronic or computer components. BS 2782: Pt 2 Method 231A - Surface resistivity better than 10,000,000 megaohms.